BMW has unveiled the third-generation X3 which will be launched in November this year. Apart from the visual revamp, the BMW X3 will be introduced with a new 2.0-litre petrol engine and an M Performance variant. The new 2-litre engine petrol engine, which will be sold in the xDrive20i variant, will be a 4-cylinder unit with a twin-scroll turbocharger. However, BMW hasn't revealed how much power or torque this engine produces. 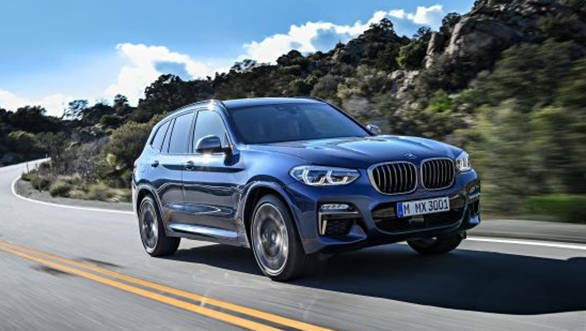 The new BMW X3 M40i will get a 3.0-litre 6-cylinder petrol engine producing 360PS, which is 54PS more than the range-topping petrol in the outgoing model made. The engine produces a peak torque of 500Nm, which is 100Nm more. BMW claims that the X3 M40i will go from 0-100kmph in 4.8 seconds, with a top speed of 250kmph. The diesel variants of the new X3 - the xDrive20d and xDrive30d - will continue to run the same engines. The less powerful one will get the 190PS/400Nm 4-cylinder engine, while the latter will use a 265PS/620Nm 6-cylinder engine. All the variants will come with an 8-speed automatic transmission. Depending on the engine, the 2018 BMW X3 also gets four drive modes  Eco Pro, Comfort, Sport and Sport+. The 2018 BMW X3 will continue to use a double-joint spring strut axle at the front and a five-link rear axle to handle suspension duties. It will also get adjustable dampers as an optional feature and variable sport steering. 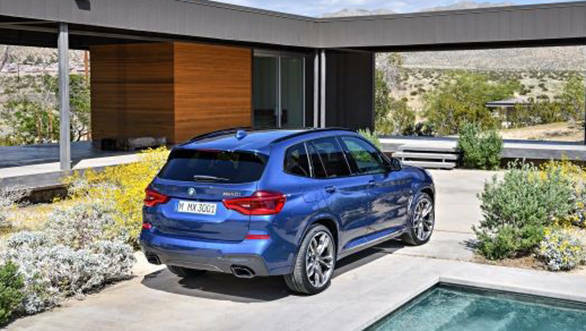 BMW says that the new X3 is 55kg lighter than its predecessor thanks to the increased use of aluminium in the engine and suspension. It also says that the SUV now has a 50:50 weight distribution over the front and rear axle. Coming to the design, the new X3, as you can see, gets a complete overhaul. It measures the same in terms of length, width and height, but the wheelbase is 50mm longer. The new BMW X3's creases aren't as well defined as in the outgoing model, and that makes the design seem a little less sharp. It does look a little larger than before thanks to the wide haunches, and more SUV-like too. The interior, meanwhile, still retains the driver-centric layout, but the dashboard looks a little less cluttered and a lot more premium. 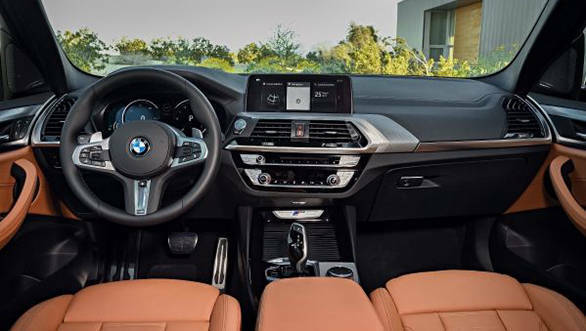 It features new controls, a tablet-like display for the iDrive system, a new steering wheel and instrument cluster. The 2018 BMW X3 will cost £38,800 (Rs 31.86 lakh) in the UK. It will go on sale in India sometime next year, to take on the Mercedes-Benz GLC and the updated Audi Q5.